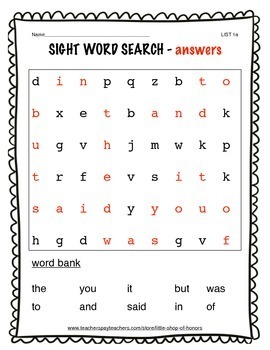 Do your students love word searches as much as mine do? Why not be practicing those sight words while engaged in a fun activity! 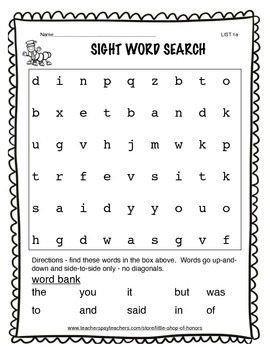 I've created a word search using 10 Dolch Sight Words from list 1. 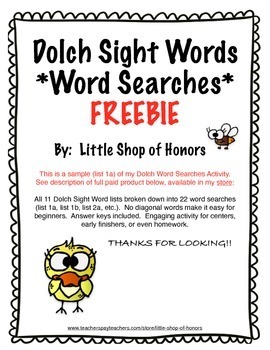 This can be used during centers, for those early finishers, as a little time filler, or even homework.